The Parliamentary search for the Best of British Manufacturing to showcase 2012. Hove & Portslades entry chosen by the MP Mike Weatherley,included a specially designed,new Olympic inspired themed range from The Fashion Trust, featuring iconic local sportsmen and women images in print. Brighton & Hove will be lucky enough to have the Olympic Torch stay overnight 16 July 2012 on its way to London 2012. 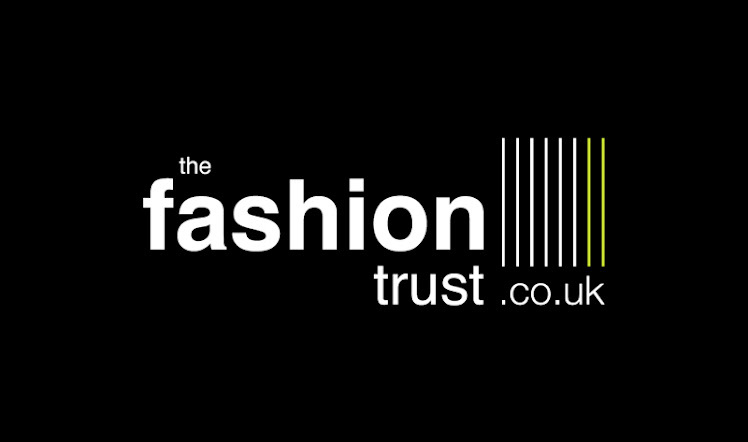 The Fashion Trust has been created to link both academics and professionals alike, it's primary focus of the UK regional fashion industry, creativity and design, business mentoring, and associated industries linked to it. Currently helping designers to start their businesses, manfacturing and exporting from the Brighton & Hove and Sussex region. The All Party Parliamentary Group (APPG) for Design and Innovation with the APPG for Manufacturing, at parliament, put together a project for all MP’s to discover creative and manufacturing talent in their constituency during 2011. Across Sussex, various businesses have been nominated and Hove & Portslade is represented by the Fashion Sussex submission. The new special Made by Britain pin logo The Fashion Trust can use to promote British designed and manufactured products. With the Olympics less than a year away, and the successful launch of the parliamentary search for the best of design and manufacturing across UK, 'Made By Britain' project, Fashion Sussex chosen as the Hove & Portslade entry by Mike Weatherley MP, have provided their dedicated Olympic 2012 inspired prints to be used in the promotional campaigns 'Made By Brighton & Hove' and 'Made By Sussex' at the forthcoming Autumn 2011, Brighton & Hove Business Show. The print used in the promotional banners, featuring lifebouys designed by Julius Arthur Quinn Mdes, graduate of Brighton University, is just one from the 'Made By' range featured at http://madebybritain.blogspot.com showing that it's possible to design textile and clothing print design, and use successfully in other ways, in this instance, graphic design in a business use solution. With the Olympics less than a year away, and the successful launch of the parliamentary search for the best of design and manufacturing across UK, ‘Made By Britain’ project, TheFashion STrust chosen as the Hove & Portslade entry by Mike Weatherley MP, have provided their dedicated Olympic 2012 inspired prints to be used in the promotional campaigns ‘Made By Brighton & Hove’ and ‘Made By Sussex’ at the forthcoming Autumn 2011, Brighton, Hove & Sussex Business Show. The print used in the promotional banners, featuring lifebouys designed by Julius Arthur Quinn MDes, graduate of Brighton University, is just one from the ‘Made By’ range showing that it’s possible to design textile and clothing print design, and use successfully in other ways, in this instance, graphic design in business use solution. "We are demonstrating the wide business solutions that are available by fashion print design and currently the iconic lifebouy print that Julius has designed, will not only be used in graphics for the forthcoming Autumn Business Show but into a range of products. We hope by doing this that businesses will realise the potential of employment of such talented creatives"... Stated Michaela Walker, trustee. London 2012 News features trustee, MP Mike Weatherley, representing Hove & Portslade, modelling the Olympic themed 2012 inspired clothing range, designed by Brighton University graduate, Julius Arthur Quinn. A standard marque for Made in Britain products has been launched with backing from UK manufacturers and MPs. A panel of industry experts chose this new design after research commissioned by Stoves (the British Manufacturer of Aga) that many Brits were simply out of touch with what was British made and what wasn’t. The Fashion Trust – based in Sussex is pleased to be associated with this campaign and to be able to use this new logo on their fashion designed manufacturing. “ I’m delighted that The Fashion Trust in Sussex, can support this campaign for promoting British fashion manufacturing, particularly with the Olympics less than a year away and so many global businesses and consumers observing the UK” … stated Mike Weatherley MP and Trustee. Julius used photography images by Simon Munn featuring previous regional Olympiads, such as Steve Ovett, digitally enhanced into an exciting print which is suitable for use in large printing format especially for commercial occasions. A second and very detailed image was produced featuring the Royal Pavilion, Brighton, clearly fantastic for regional tourism use, and his third print features lifebuoys, again very appropriate for being a seaside City resort, which features the colour palette of the Olympics and fantastic to print onto natural fabrics. This third print has been chosen to be used for the ‘Made By Brighton & Hove’ and ‘Made By Sussex’ manufacturing campaign that is commencing alongside the ‘Made By Britain’ UK campaign to showcase locally produced products in the South Coast region. This project has shown Julius’s complete diversity and expertise as one of top regions young print designers. Welcome to The blogspot for The Fashion Trust www.fashionsussex.co.uk - The Sussex Fashion Awards from Brighton & Hove, Sussex, UK. A charity set up to encourage design, manufacturing and export from the region. Set up to encourage design, manufacturing and export from the Sussex region, including Brighton & Hove, UK. Copyright - All Rights Reserved - The Fashion Trust. Awesome Inc. theme. Powered by Blogger.